At the end of April, the news that Avicii had died rocked the dance music world. The Swedish DJ, producer and songwriter passed away in Muscat, Oman. He was 28 years old. Shooting to stardom just shy of his teens, Avicii was the very first DIY hero of the EDM generation. Rocketed from bedroom producer to headline act practically overnight, the young Swede’s career would act as a blueprint for young EDM DJs to come, opening up a world of possibility and promise for starry-eyed kids around the globe. Two-time Top 100 DJs winner Martin Garrix cites the Swedish star as one of his biggest inspirations, the pair sharing a similar lightspeed trajectory to the big time. 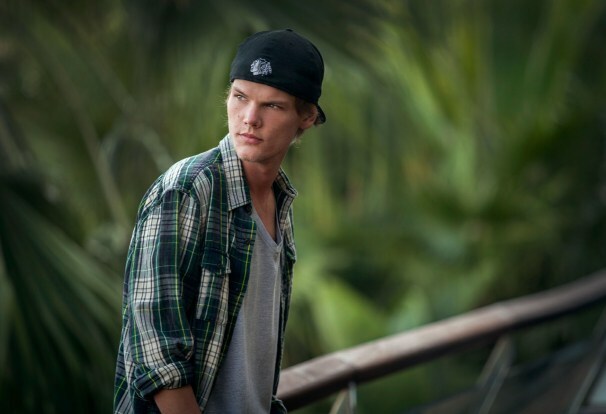 But it’s not just Garrix who’s been touched by Avicii’s (real name: Tim Bergling) music-making and production style. In the 24 hours following the tragic news of his death, there was an outpouring from the dance music industry in support of the star’s family and friends, naming Avicii as both a kind and gentle soul and a musical innovator. Calvin Harris, Kygo and Deadmau5 (among many others) have all come forward to express their grief and disbelief at his passing, with the later writing, “Nobody can deny what he has accomplished and done for modern dance music and I am very proud of him”. It seems fruitless to go through Avicii’s long list of achievements here — the far- reaching impact of the Swedish star’s music will continue to reverberate for decades to come. His 2011 breakout tune ‘Levels’ continues to be one of dance music’s most successful crossover hits, proving equally anthemic on festival stages and mainstream radio to this day. Bergling’s knack for making catchy club records that really spoke to ravers was felt no greater than in the States — he was one of the first EDM acts to really make it in America. Alongside fellow Nordic selectors Swedish House Mafia, Avicii defined what it was to morph from headline DJ to full-blown celebrity, lapping up all the trimmings that come with a life of excess as he went. Four years ago, Berling was forced to undergo surgery to remove his gallbladder and appendix after being diagnosed with acute pancreatitis. His illness was reportedly a result of his long-standing battle with alcohol addiction, with the DJ saying drinking helped him combat his on-stage nerves and crippling self-doubt. “I was so nervous. I just got into a habit, because you rely on that encouragement and self-confidence you get from alcohol, and then you get dependent on it,” Avicii told American GQ in 2013. That GQ interview would help increase Avicii’s superstardom two-fold — perhaps for all the wrong reasons. The feature’s author, Jessica Pressler, was invited inside the star’s world for one wild week of on- the-road luxury, offering a real peak behind the curtain of what it’s like to be one of the world’s highest-paid DJs. Some of Berling’s quotes were deeply troubling — particularly those related to his relationship with alcohol and touring. “You are travelling around, you live in a suitcase, you get to this place, there’s free alcohol everywhere — it’s sort of weird if you don’t drink,” he told Pressler. Sadly, it’s a sentiment that’s echoed by countless big-name DJs still on the circuit today. It’s no secret that superstardom is a heavy burden to bear — but it was Avicii’s ability to innovate that kept him bouncing back from the brink. 2011’s ‘Levels’ would go on to occupy but a tiny corner of Bergling’s varied output, with his huge catalogue spanning pop, rock, soul, EDM and beyond. He’ll be remembered for taking one of the biggest risks in dance music history, thanks to his unlikely fusion of EDM and country music on 2013’s runaway hit, ‘Wake Me Up’. Still one of the year’s most divisive records, the track was met with criticism and adoration in equal measure — the ultimate goal for any true musical vanguard. It also represented Avicii’s ability to break and rebuild the EDM mould, at a time when the genre was awash with identikit DJs pumping out formulaic big room fodder. His second LP ‘Stories’ contained more of his all-new folktronica stylings, a distinct departure from the pop-focused house tunes that populated his debut ‘True’ less than two years earlier. It was no secret — in the industry, at least — that Bergling had struggled to cope with life on the road, cajoled into playing over 200 shows at year at his touring peak. The release of his tell-all biopic, ‘Avicii: True Stories’, aimed to shed light on his struggles in the public eye, that culminated in his shock retirement from touring at the close of 2016. The film didn’t just focus on Avicii’s well-publicised meltdown, it also painted a touching picture of an introverted music-lover still deeply devoted to his craft — a quiet, unassuming man perhaps not made for the spotlight. Watching the ‘Avicii: True Stories’ documentary in the days following his death, it’s tough not to feel like something more could have been done to prevent Avicii’s demise. 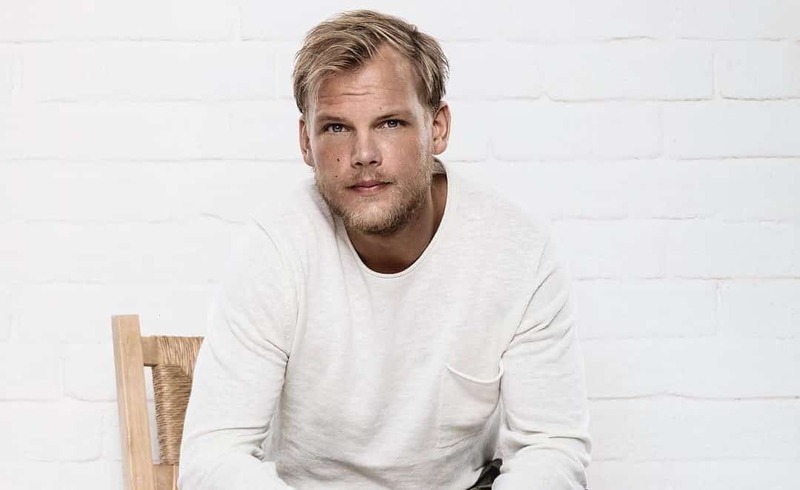 The film — which follows the Swedish star over a hectic five-year period — charts his story from bedroom DJ to stadium headliner, offering up a disturbing, unfiltered snapshot of Avicii’s crumbling existence in the process. Suffering from both mental and physical fatigue, the star vocalises multiple times throughout the narrative that he wants to slow down/cease touring completely, only to be met with apathy and derision from his management and hangers-on. The film ends with Tim playing a guitar alone on the beach in Madagascar, having finally retired from touring and looking healthy and calm. Sadly, this would be but a temporary state of contentment — Avicii’s family released a statement a week after his death implying the star had taken his own life. The controversy around Avicii’s death made headlines globally, but it’s not the manner of his passing for which he should be remembered. During his short life, the producer quietly gave millions to humanitarian projects, including American organisation Feeding America. Bergling donated a million dollars to the charity — which helps Americans living on the poverty line with food and supplies — the total sum of his earnings from his 2012 26-date U.S. tour. In 2015, the producer also directed two music videos to accompany tracks ‘For A Better Day’ and ‘Pure Grinding’, which showed the harrowing effects of gang violence and human trafficking in war-torn countries. “It’s an issue about which I hope to start a louder discussion, especially now with the huge number of families on the move from war-torn countries looking for safety and shelter,” the Swede said at the time. A humble boy from Stockholm with a laptop, a copy of FL Studio and a keyboard, Bergling was more than just a music geek who caught a lucky break. He was the inspiration for producers dreaming about crafting a hit record in their bedroom, proving that anyone could make it with just a few tools and a touch of determination — as long as you had the talent. He helped define the term superstar DJ for a new generation — for better or for worse — indelibly stamping his mark on EDM as we know it today. But most of all, Avicii was an innovator who produced music with craft and care, bringing back dance music to the mainstream to be loved and adored by millions. Charlotte Lucy Cijffers is DJ Mag's digital editor. You can follow her on Twitter here. Read her story on the changing definition of EDM here. Read DJ Mag's 10 moments that defined Avicii here.